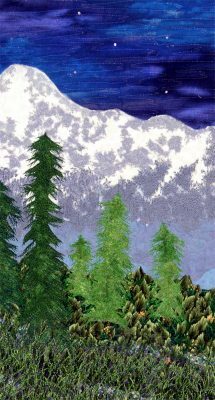 Inspired by a watercolor painting by William Winden, with his permission, Twilight at Paradise reinforces my continued infatuation with Mt. Rainier. Twinkling stars in the sky are actually “hot-stones” set on a commercial sky fabric that I over-painted with textile paints. The rock formations on the mountain are actually dryer lint with overlays of tulle and polyester organza with added decorative machine embroidery. The trees are bonded and cut for three-dimensional effects. 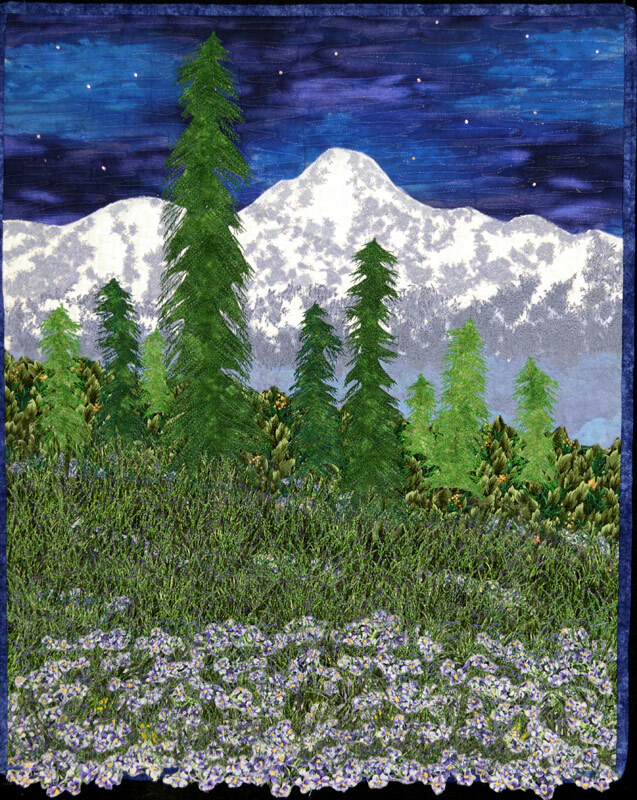 Designed and created on the wall in six-hours, this quilt demonstrates a simple design suitable for a beginning landscape student or artist.